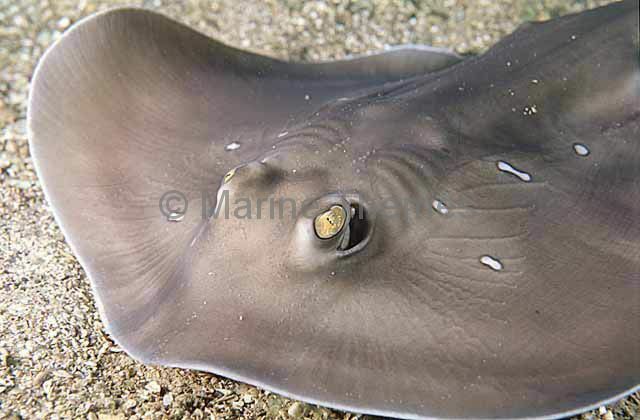 Sparsely-spotted Stingaree (Urolophus paucimaculatus) Eye and spiracle detail. 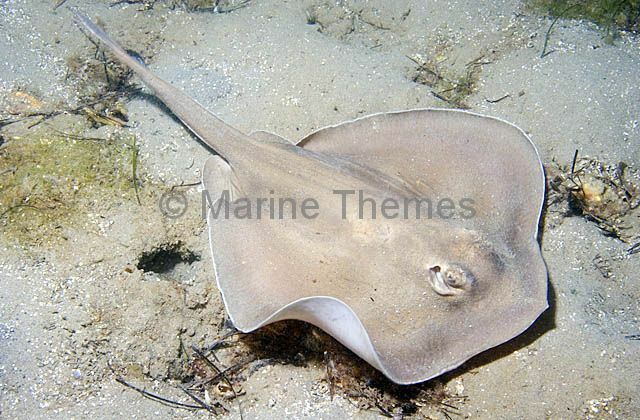 Sparsely-spotted Stingaree (Urolophus paucimaculatus) Adult. 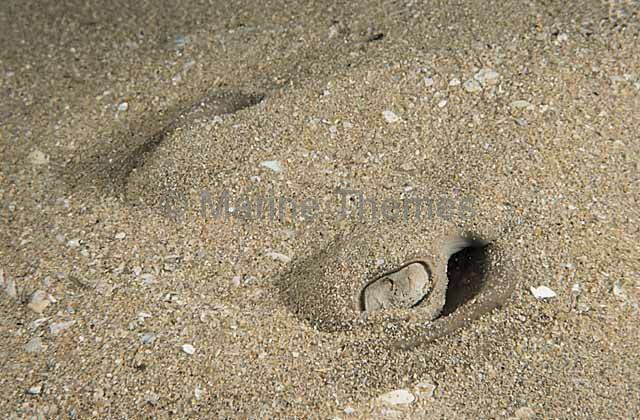 Sparsely-spotted Stingaree (Urolophus paucimaculatus) partially buried in sand. 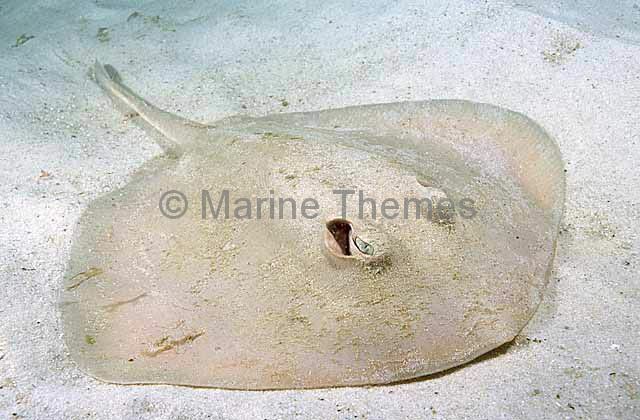 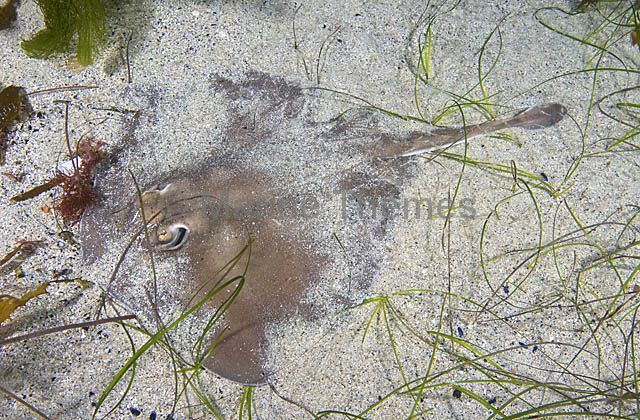 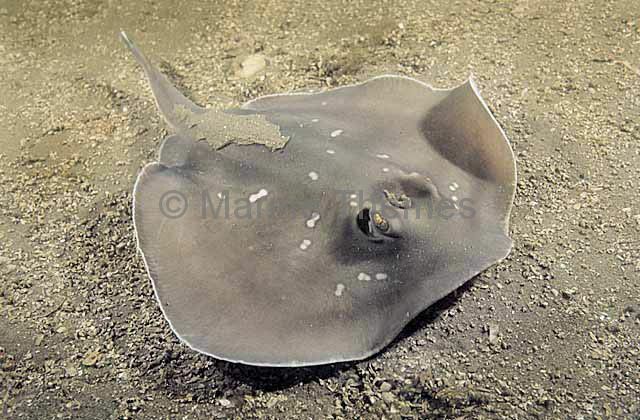 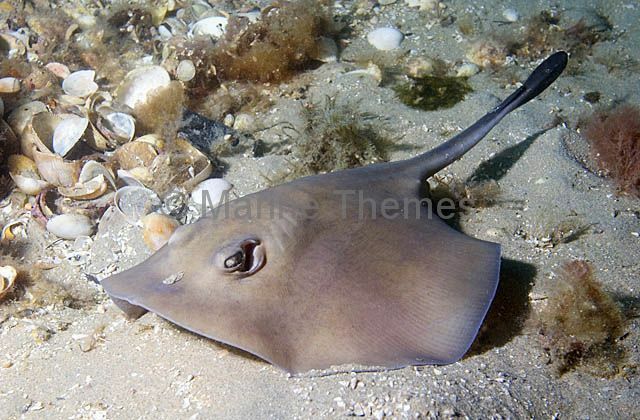 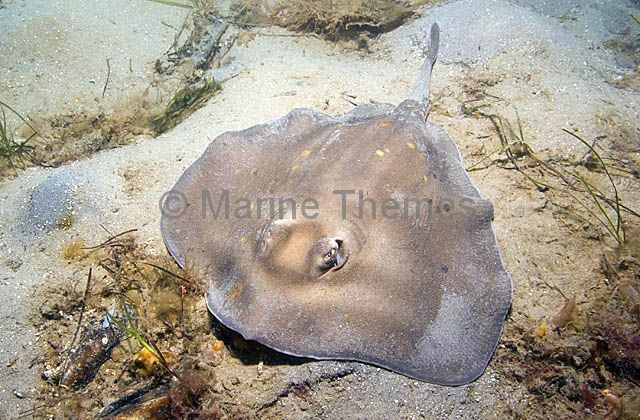 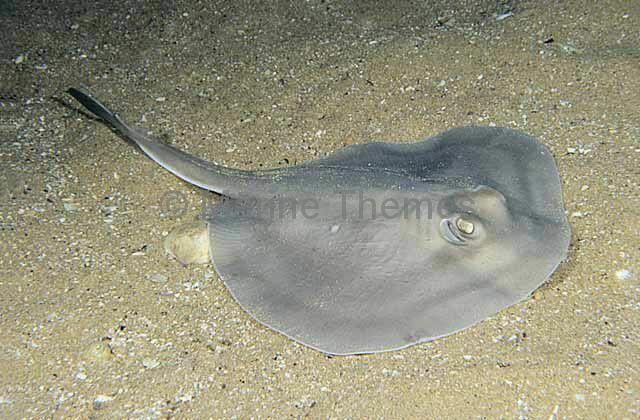 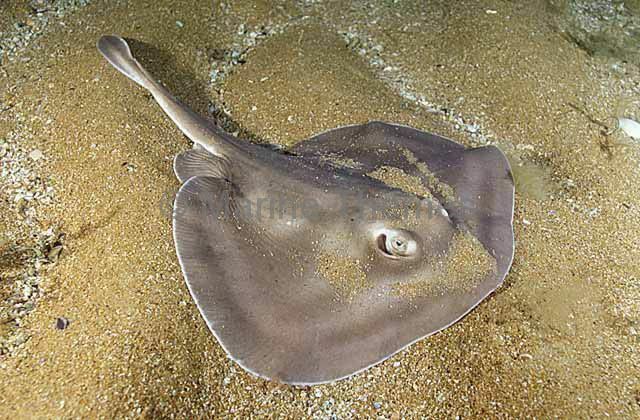 Sparsely-spotted Stingaree (Urolophus paucimaculatus) foraging across sandy sea bed. 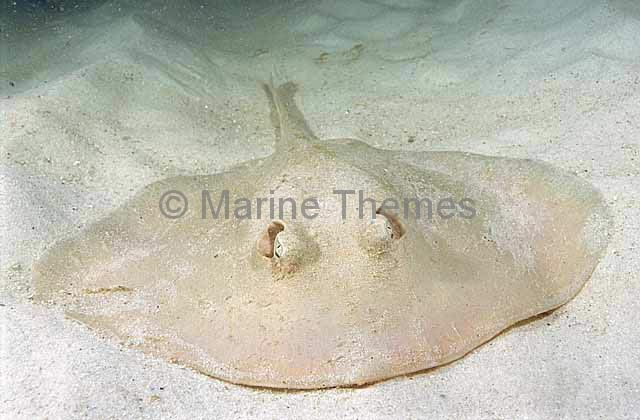 Sparsely-spotted Stingaree (Urolophus paucimaculatus) swimming over sandy sea bed.